Human rights are devouring human rights. Democracy is eating up democracy. Global replacism sacrifices everything—justice, morality, dignity, appearances—for its all-consuming passion, its one and only goal: the changing of the people; the advent of the replaceable man and its replacement by its successor; and the acceleration of the production of Undifferentiated Human Matter (UHM). For the sole obsessive sake of mass immigration and ethnic substitution, and that of the Great Replacement, the oldest homelands of liberty are now turning into tyrannies; the homeland of Habeas corpus abandons all the principles of law; England throws her own children and her last defenders into prison, thus offering them in holocaust to the Islamist beast that is destroying her. 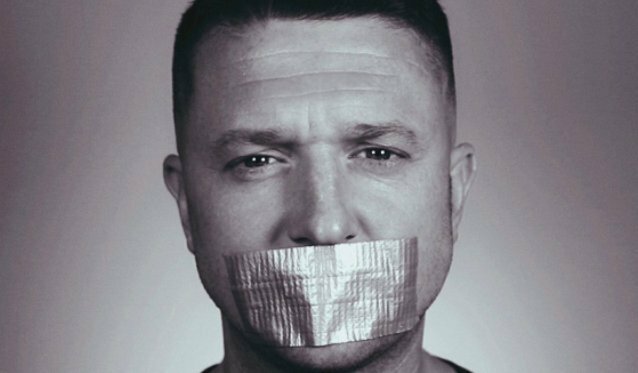 Tommy Robinson has been jailed for having said the truth and brought shame upon all those who have kept silent for years as dreadful crimes were being committed, crimes which they do not regard as crimes, since they are committed by people who are innocent by nature—the successors—and whom one may not denounce, for that would be racist. Half-replaced already, replacist Great-Britain had rather give up its heroes to those who will kill them just as they are killing Britain itself, rather than disappointing the industrialists and financiers of the UHM, who are both Islamism’s accomplices and sponsors. Every remnant of indigenous, resistant and anti-colonial Europe is outraged by the predictable lot of one of its most courageous figures, a lot inflicted by his very fellow countrymen. May Mr Robinson, whom we unanimously support in this ordeal, understand that he is not alone, and must not be so. Only unity shall bring victory.